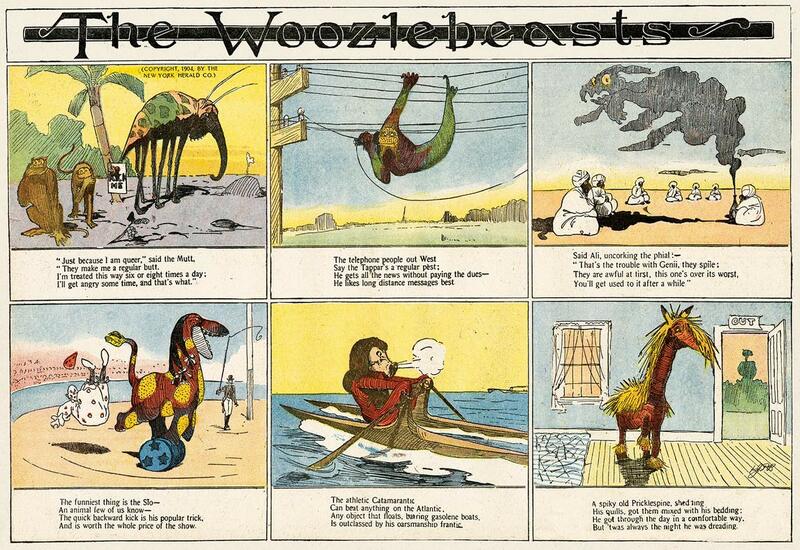 A rare example of a coloured Woozlebeasts strip by John Prentiss Benson (11 September 1904). 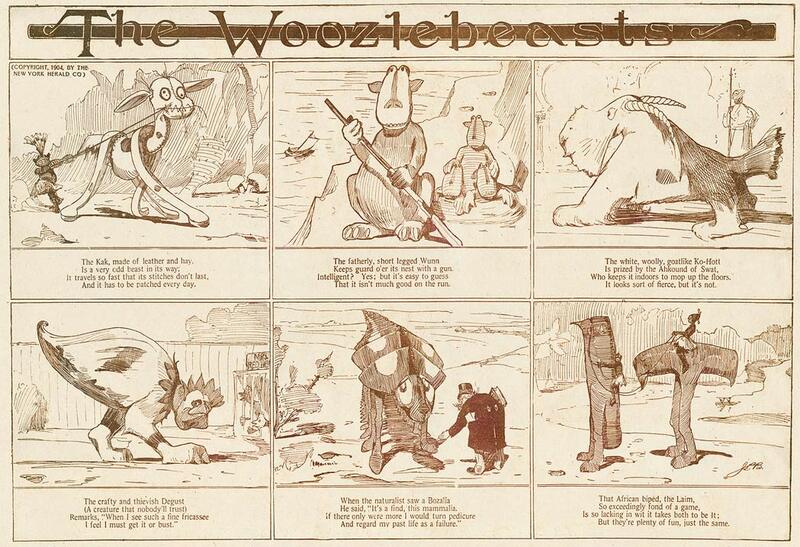 On nonsenselit.org you will find the full run of the newspaper strips, in black and white, as well as the 1905 book published by Moffat, Yard & Co.
Below is another instalment (18 September 1904), as posted by Peter Maresca at Origins of the Sunday Comics: a blog presenting a new strip from the early days of newspaper comics every day. This entry was posted in Comics, Limerick and tagged animals, Comics, jp benson, Limerick. Bookmark the permalink.